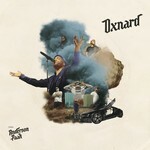 Anderson .Paak's new album, Oxnard, is a nod to the Southern California city where Anderson grew up. It is the Grammy-nominated artist's 3rd studio album and the first to be released on Dr. Dre's label Aftermath Entertainment. Oxnard will include his latest single, "Tints" featuring Kendrick Lamar along with album features from J. Cole, Pusha T and many more. Earlier this year, Anderson .Paak shared with Rolling Stone that "… this is the album [he] dreamed of making in high school, when [he] was listening to [Jay-Z]'s The Blueprint, The Game's The Documentary, and [Kanye West's] The College Dropout."